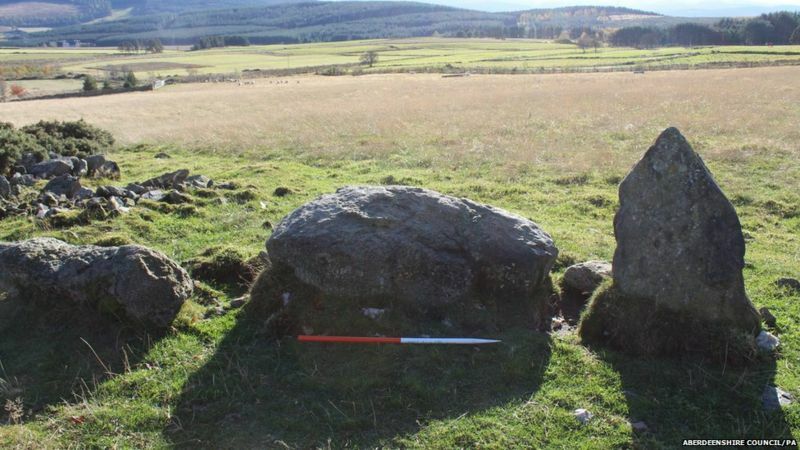 Amusement in Aberdeenshire as newly discovered stone circle turns out to be… well, new. There has been much amusement in the media over the past few days around the official recording of a stone circle before Christmas by archaeologists from the local council and the national heritage organisation, Historic Environment Scotland, which has turned out to be only around 25 years old. Described earlier as a smaller variation of sites typical of the region, it was noted that is was in very good condition, and that it was surprising that the site had not been formally recorded before now. The former owner of the land, however, has recently got in touch with the officials explaining that he built the replica in the mid-1990s. A nice piece in the Scotsman this week puts this all into a wider perspective, noting that many archaeological sites of this kind remain mysterious; flags that the honesty and candour of professionals involved will do them good rather than harm; and that there is a history of making ‘new’ monuments. The example of the Sighthill Megalith is given – and I would encourage you to read Kenny Brophy’s blog on this site, and his other investigations into the past around us in the everyday urban environment. I agree with the Scotsman article and forsee that the site will indeed become of greater interest to visitors, and should rightly do so. Given the ’30 year rule’ which applies to listing sites in the built environment, the site is already almost of an age where it could officially be ‘heritage’, and in due course could indeed merit protection – and why not? It may be a site of its time, and hopefully investigation won’t stop entirely – it would be great to professionally record the motivation of the builder of this new/old site – and, as archaeologists often say, to gain an insight into the society which created it – an advantage we don’t have for sites which really are 4000 years old.